All this week, decentral.tvwill be airing segments from the first Decentralized Technology (DEC_TECH) event held at MaRS Discovery District in Toronto, presented by Decentral. Held on March 17, 2015, the event drew a crowd of over 300 digital currency enthusiasts. Monday’s segment begins with opening remarks from host Anthony Di Iorio of Decentral and Adam Nanjee of MaRS. A series of presentations follows, beginning with Gerald Cotten, CEO of QuadrigaCX. QuadrigaCX is a Canadian exchange that recently became the first publicly traded bitcoin exchange in the world. Henry Chan, business technology analyst from Deloitte, then speaks about the value and the potential of the blockchain, followed by Mat Cybula of Cryptiv, who talks about how tipping can act as a gateway to the world of bitcoin. 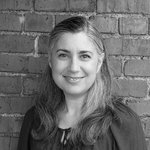 Cybula is followed by Amber Scott, Chief AML Ninja at Outlier Solutions, who discusses the changing landscape of bitcoin regulation in Canada. Tuesday’s segment will feature a panel discussion on “Bitcoin and the Future of Payments” moderated by William Mougayar of Startup Management. Panelists include Amber Scott, Adam Nanjee, and Jeff Coleman of Kryptokit. Tune in on Wednesday for featured speaker, Andreas M. Antonopoulos, Bitcoin evangelist and author of Mastering Bitcoin. Always entertaining and engaging, Antonopoulos spoke to the packed conference room of over 300 audience members about the inevitability of bitcoin acceptance by legacy institutions. Over the course of the two segments, Antonopoulos walks his audience through the banks’ “Seven Stages of Grief” as they come to grips with the fact that the old way of running things is coming to an end. Decentral.tv will close out the week with two segments of follow-up questions for Antonopoulos from the audience. On Thursday and Friday’s installments, he will address topics such as scalability, security and adoption. All episodes will air on decentral.tv at 3:00 pm EST. Past episodes will be available on the decentral.tv playlist.